Christ the King is a sponsor to three Boy Scout groups- Cub Scouts, Boy Scouts, and Venture Crew. Cub Scouts begins the adventure for boys in the first grade with Tiger Cubs and ends with Webelos at age 10-11. Pack 36 is an active group and boys wishing to join should contact Cathy Johnson for further information 508-477-5689. A Webelos Scout can then Cross Over to Boy Scouts. This group of Scouts is a very active group that learns skills that help them in their journey to adulthood. Having FUN year round with Camping and Life Skills learned through Merit Badges, Service to Church and Community and advancement through the Scouting Ranks towards Eagle Scout are the goals of this group. Boys from 11-18 years interested in joining should contact: Cathy Johnson for further information 508-477-5689. Venture Crew is a high adventure crew of both young men and women ages 14-20. These Venture Scouts are formed to participate in activities that challenge and interest them. Such as Scuba Diving, Skiing, White Water Rafting, and Sailing are but some of the possible activities that are possible. These scouts take a greater role in fine-tuning the skills learned in life, involve themselves in service to their community and believe that if they can imagine it, they can do it! Currently, there is not an active VENTURE crew at Christ the King. If you are interested in helping form a group that shares your interest in some outdoor activity, call Cathy Johnson for further information 508-477-5689. All groups are active year-round and require adult participation to function properly. 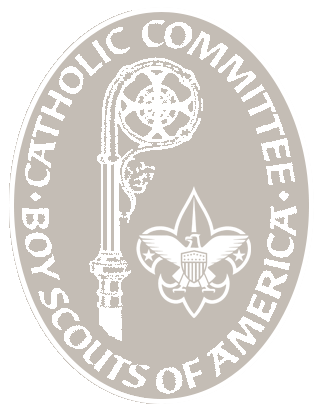 Scouting is a Family Ministry and if your child wishes to participate in the Scouting Program at CTK, please be prepared to help out with adult involvement. Do you have an interest in this Ministry or Club? Please fill out the contact form. What is the best time to reach you?